Custom owl plushie from a kid’s drawing. This owl softie was a special Christmas request from a little girl. She asked Santa Claus to turn her sweet owl drawing into a fluffy owl softie!!! Every drawing is unique. It is very important for me to pay attention in every detail. 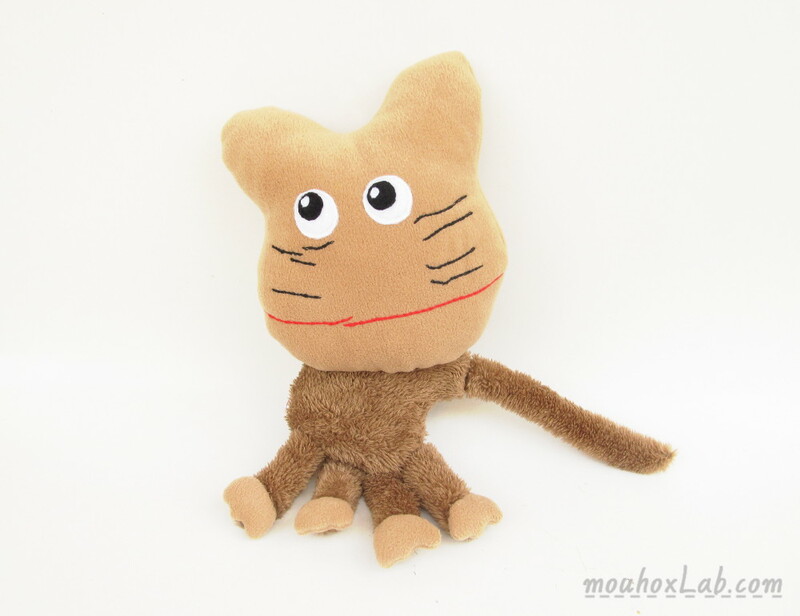 This softie is made with high quality yellow fur and fleece fabric. Its eyes and mouth are a bit stuffed to get this 3D effect. 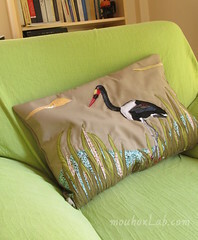 Every part is double machine stitched and some parts are also hand sewed. Size approximately 15″inches. Stay tuned for more softies from drawings!!! I love Christmas advent calendars!!!! They make me feel like a child again. It is such a lovely feeling to wait each day to put a new ornament every day and finally decorate the whole tree at December 24th. It is kind of magic!!! This is my new Christmas advent calendar!!! 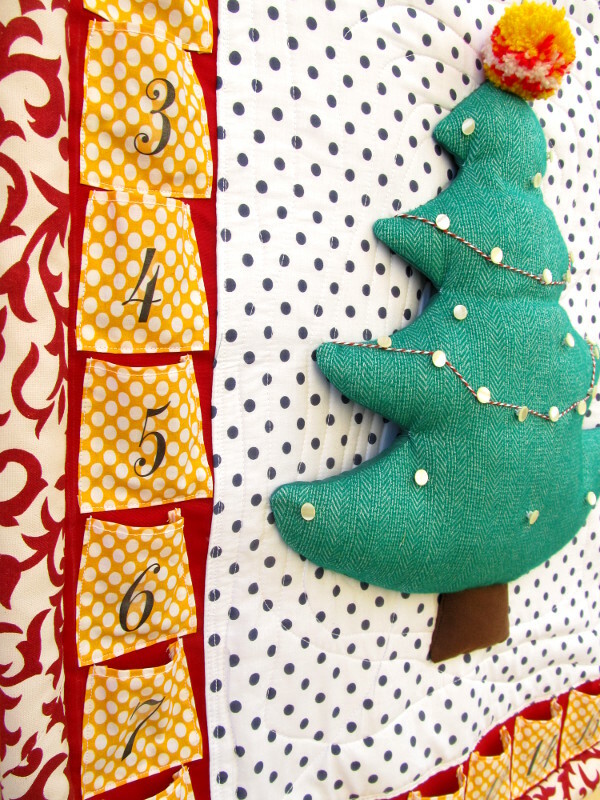 There are 24 hand printed pockets around the Christmas tree. The border is a bit stuffed and so as the tree. which gives them a 3D texture. 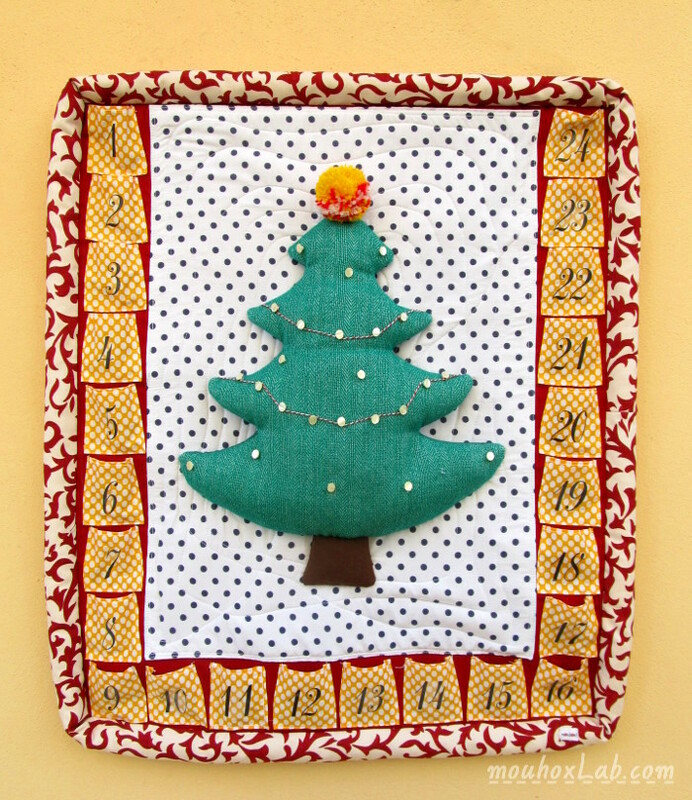 I have sewed 24 buttons on the tree where you can hang the ornaments. But take a better look at the buttons. There are two red/white thread lines on the tree!! This calendar has 24 ornaments. 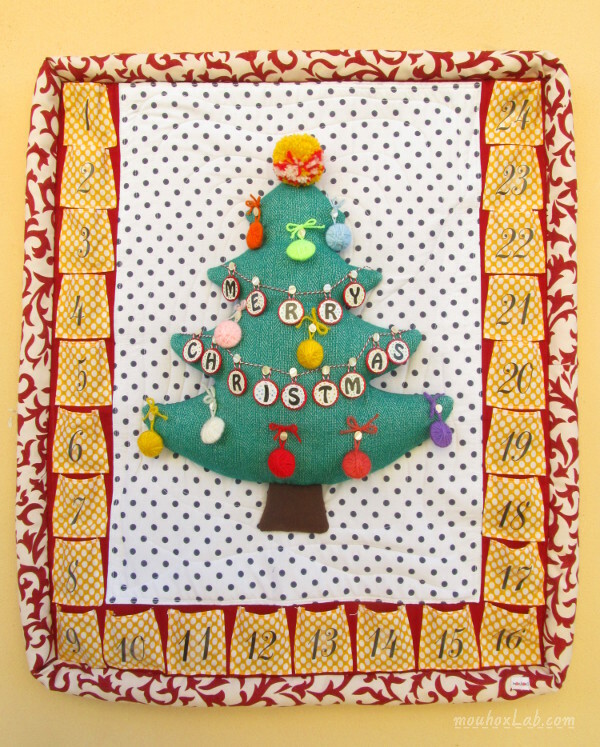 The 14 are letters that form the phrase “MERRY CHRISTMAS” and the rest are 10 woolen circles. Each letter is hand painted by me. 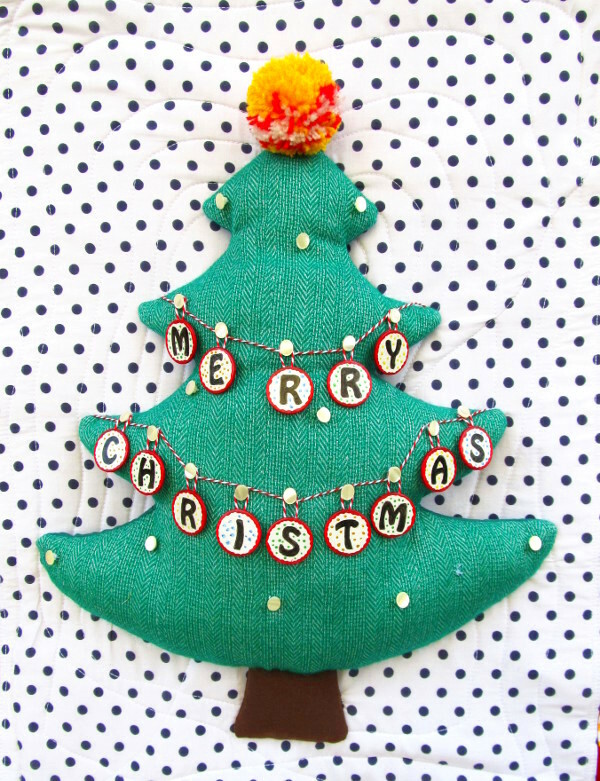 When you start placing the ornaments, if you put on the upper thread line the “M” letter and then continue as likewise then by the end of December you will get the whole phrase right in front of your eyes. The kids love it ! Especially those who start learning now the alphabet. And finally you will get it all decorated!!! Yes I know it is not Christmas yet but this calendar is up for grabs at my Etsy shop! Do you know Cipollino? I had no idea about this cartoon. It goes down to the 60′ but it still has its fans!!! 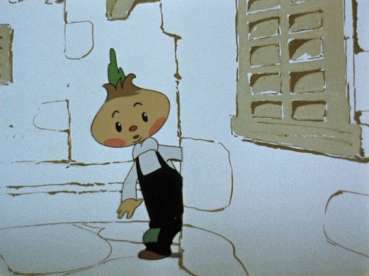 It is a fictional character by Gianni Rodari’s eponymous Tale of Cipollino, from an old Italian cartoon, re-made into a Soviet propaganda film. 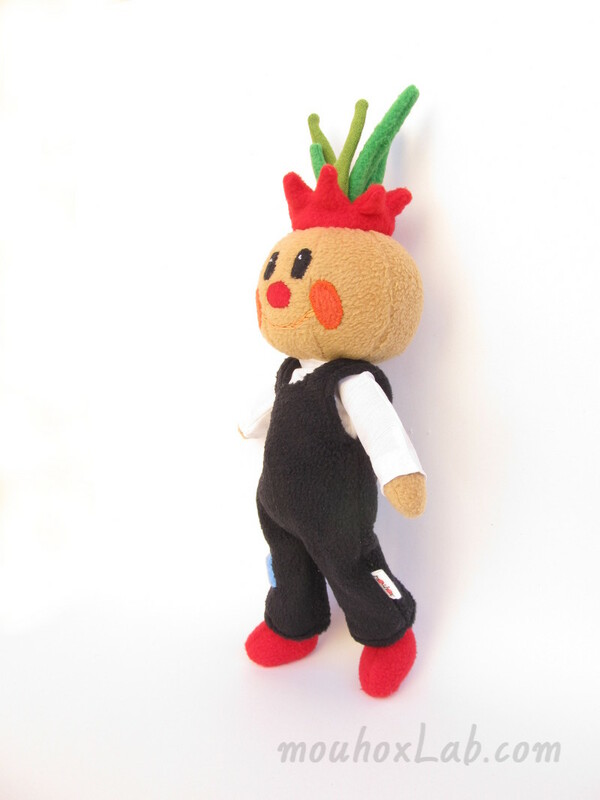 Cipollino, or Little Onion, fights the unjust treatment of his fellow vegetable townsfolk by the fruit royalty (Prince Lemon and the overly proud Lord Tomato) in the garden kingdom. On my working table, ready to get dressed. There is also a trick with his hair!!!! They are pull- able!!! Yes, that is correct!!! You can pull his hair and they grow! As the cartoon character!!!!! So, what do you think about Cipollino? 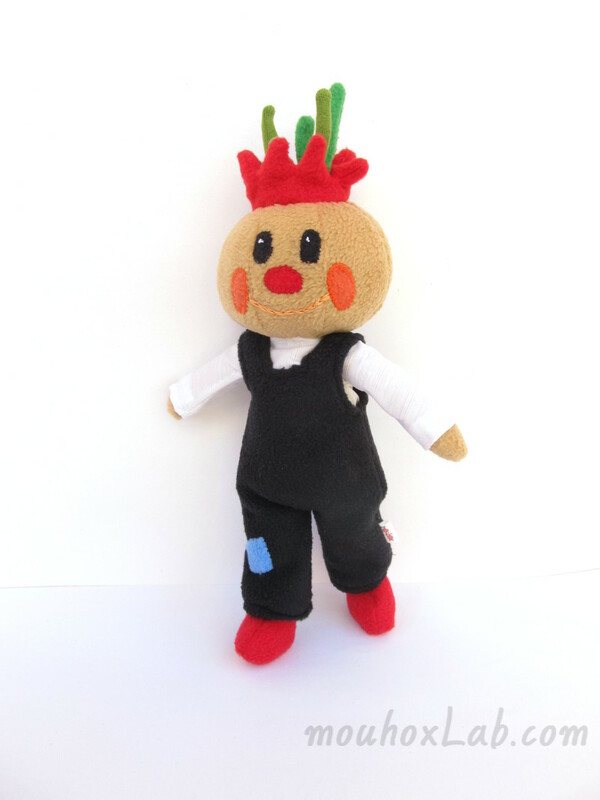 Is it one of a kind vegetable boy! 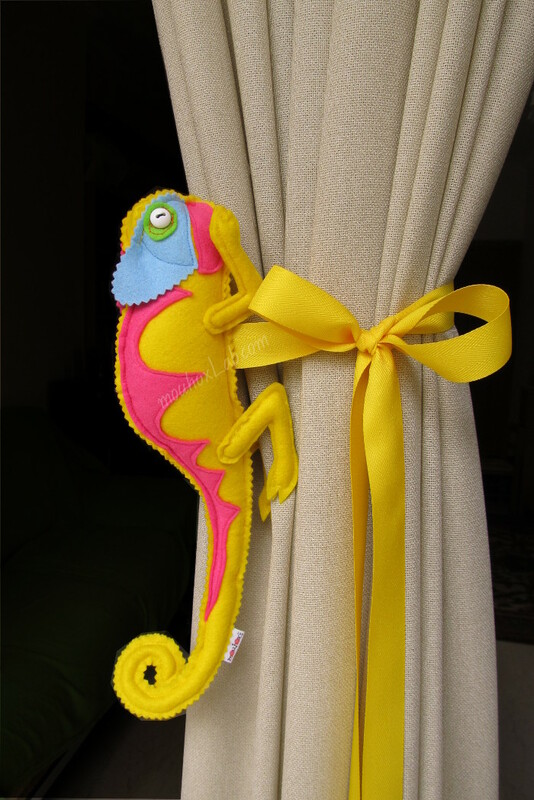 ⭐ Are you tired using mainstream curtain tiebacks? ⭐ Do you like lizards? ⭐ Are you fond of vivid colors? ⭐ Would you like to decorate your kid’s room with something special? ⭐ Are you a fan of Handmade? Their color combinations are depended each time from the color of your room, your curtains or something special that you have in mind . I can also customize them according to your preference. My favorites are the blue and the yellow and these I would like to share with you today. 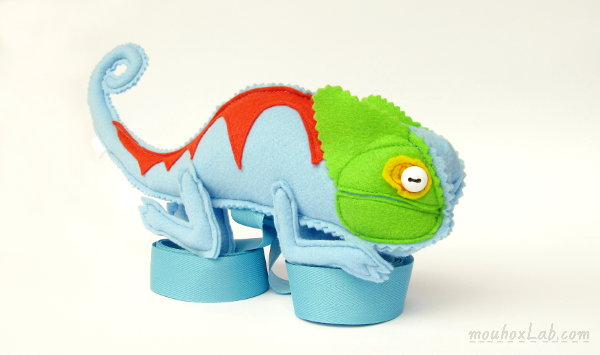 They are made with felt. 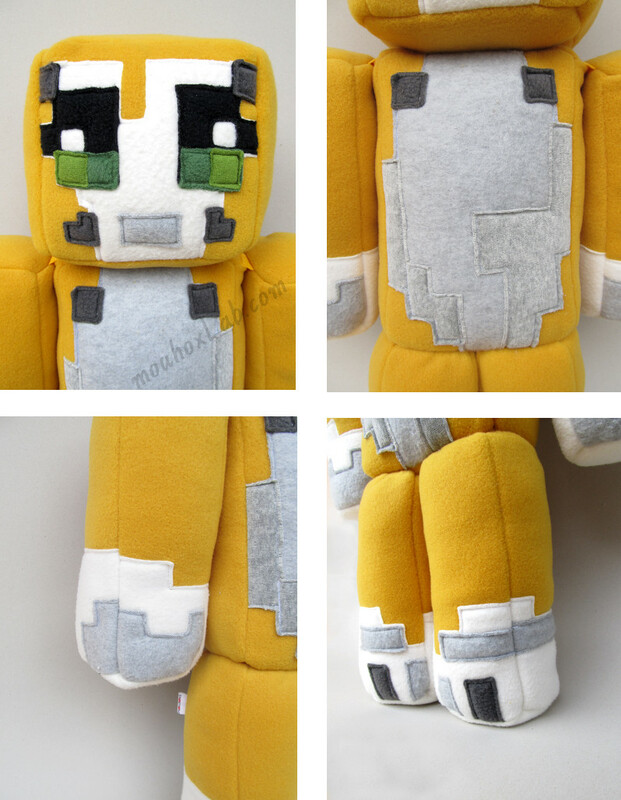 All their parts are machine sewed and I do not use glue. They are firmly stuffed with fiberfill so they will not lose their shape. 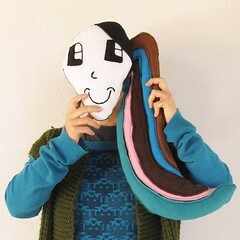 Size: Head to tail 12.6 inches (32 cm). 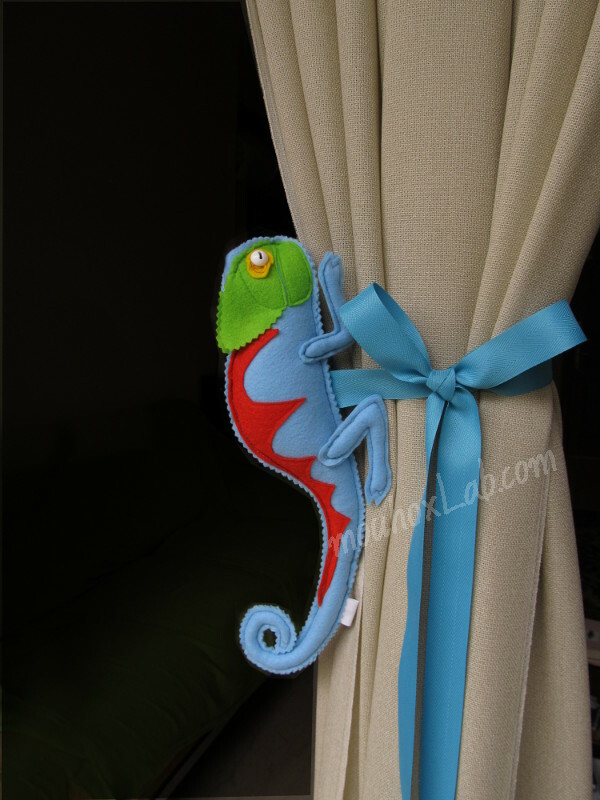 It is really fun to watch a chameleon to climb on your curtains!!!! 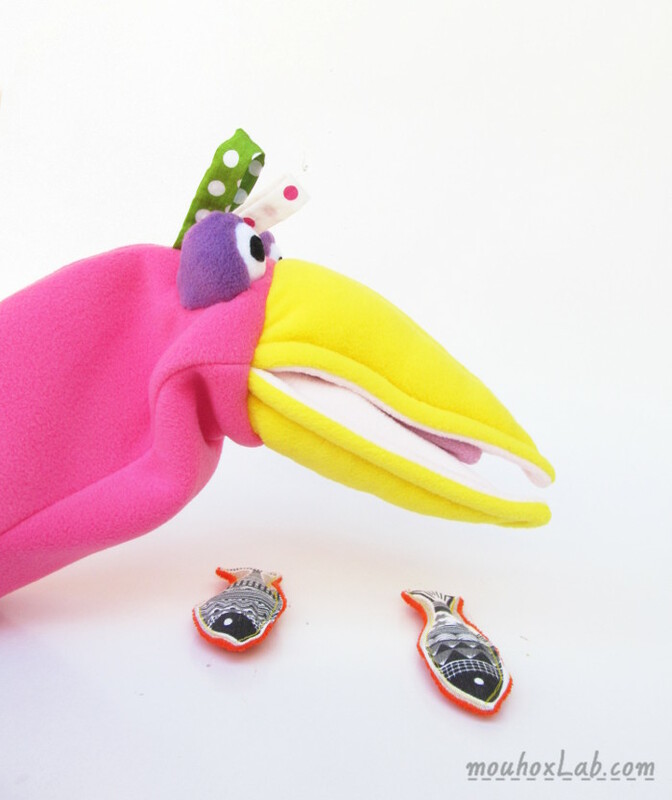 I made these two hand puppets for a lovely baby girl. They were given as a special baptism present. 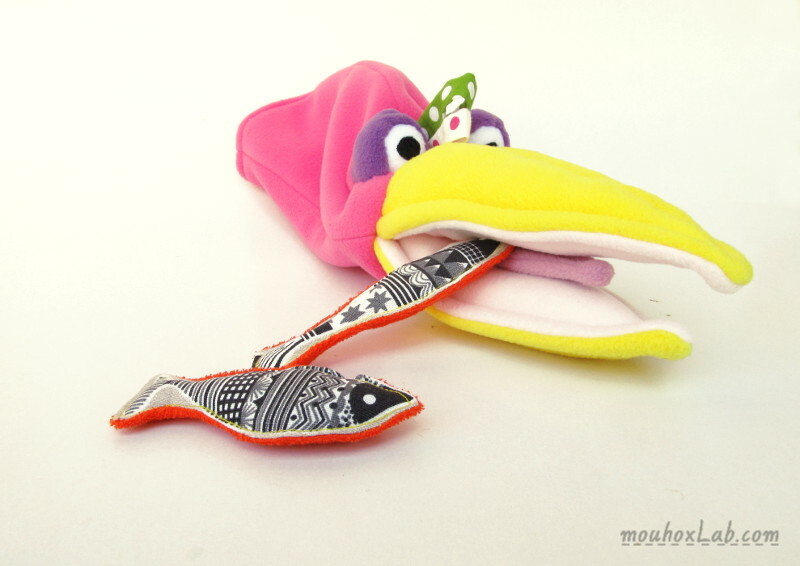 These puppets are made with bright colorful soft fleece fabrics. 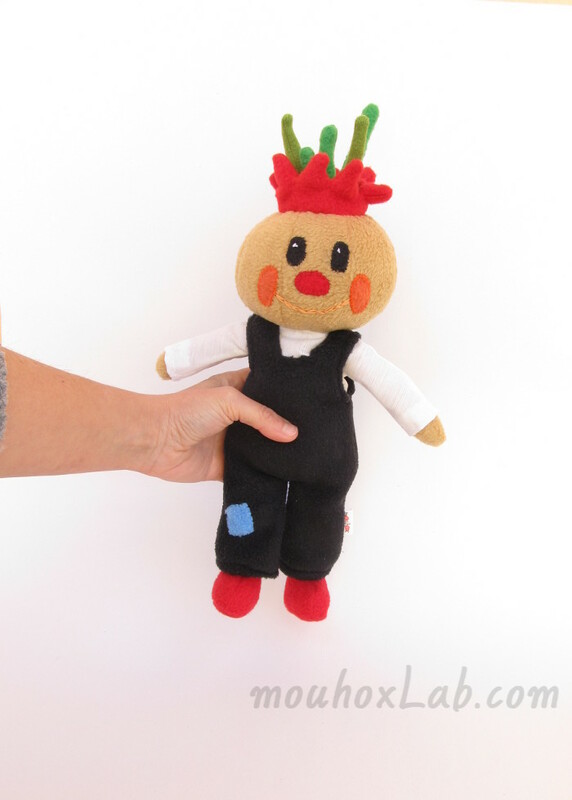 Each one is carefully machine and hand sewed. Very easy to perform by you or your little one. 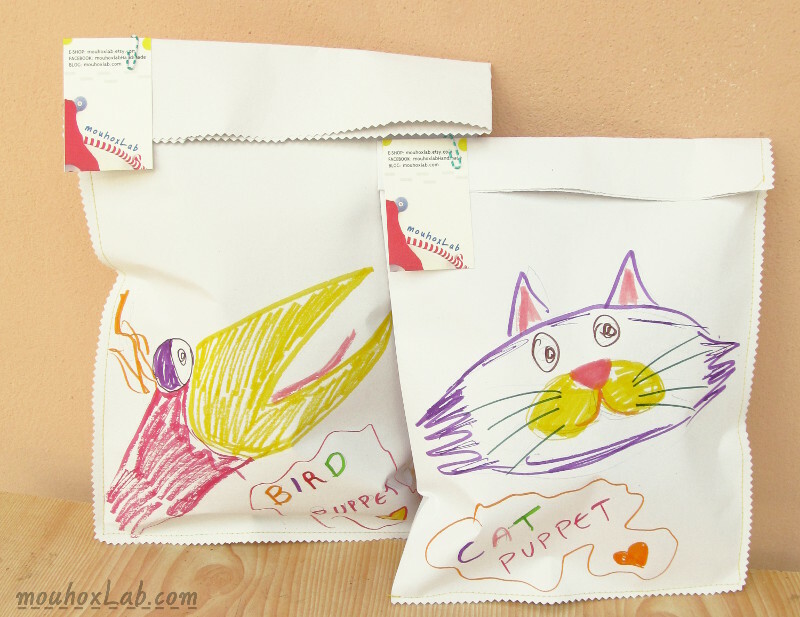 They can be used for entertainment or education activities. Of course they were wrapped with handmade “mouhoxlab”gift bags. 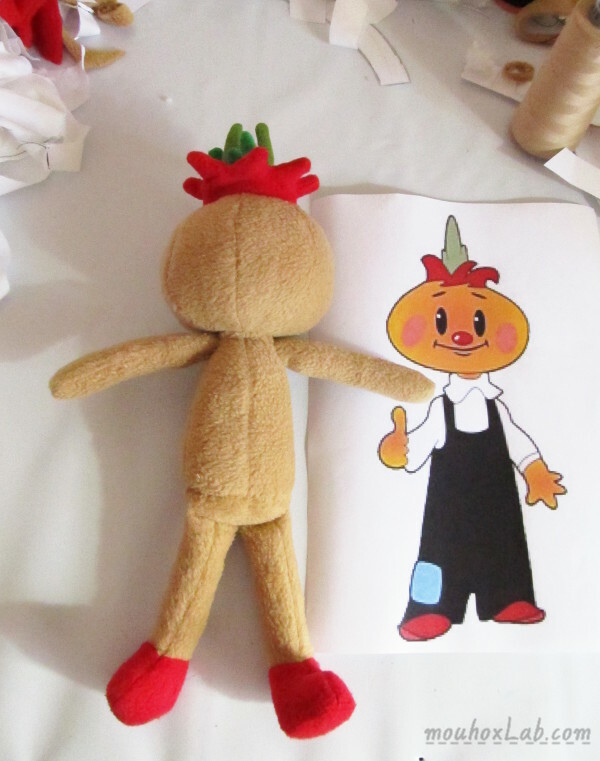 During these years I have received several children’s drawings that I turned them into softies. 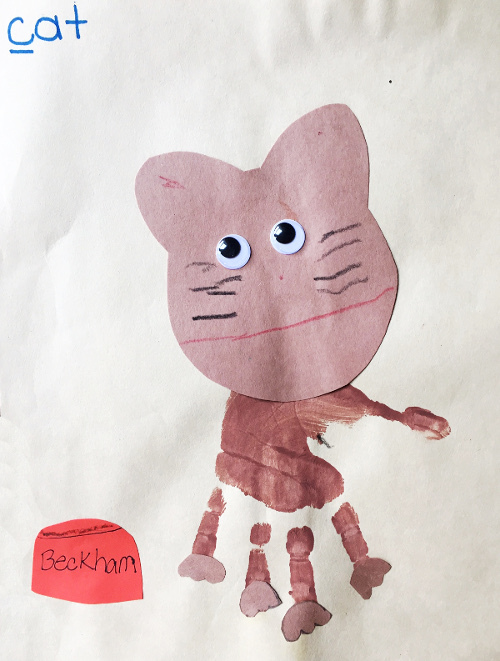 Every drawing was a nice surprise for me because children have the ability to draw something ordinary (ex. rabbit, owl) in the most creative way. Their drawings are so special because they do not have our mind illustrating rules!!! 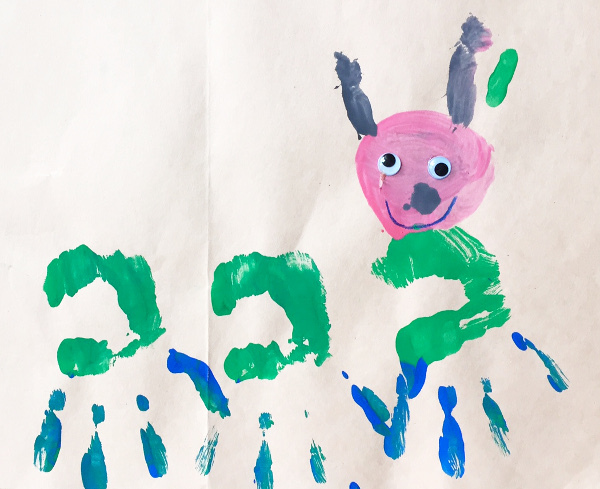 It is the creative expression that lets children tap into the magic of their own imagination and just enjoy the process. Here is a cat and a worm drawing! and here are my handmade softies inspired by these special drawings. 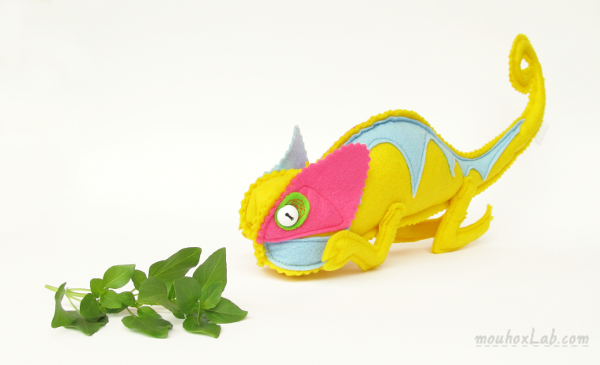 These softies are made with high quality fleece and they are stuffed with fiber fill. 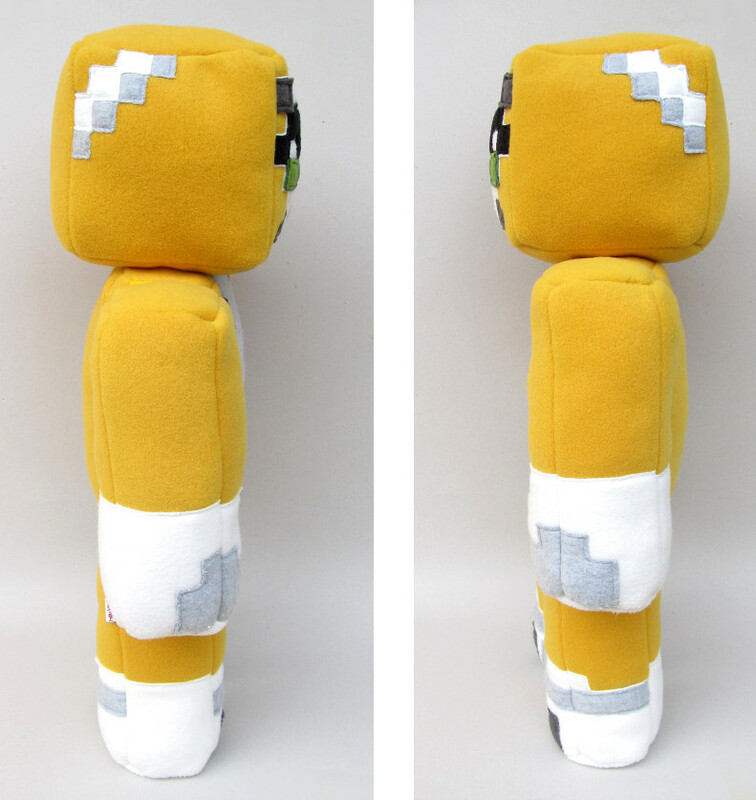 All their parts (inside and out) are double sewed. Quality is very important to me and I pay attention in every detail. This is a excellent birthday gift idea! Don’t you think? 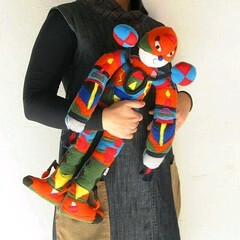 You will not find a similar softie to any mass production store and remember that it will be made from your kid’s design. 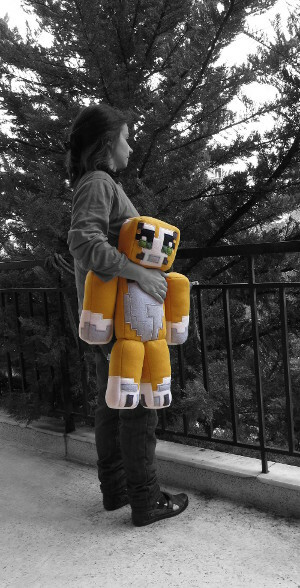 Minecraft video game has a bunch of animated characters. 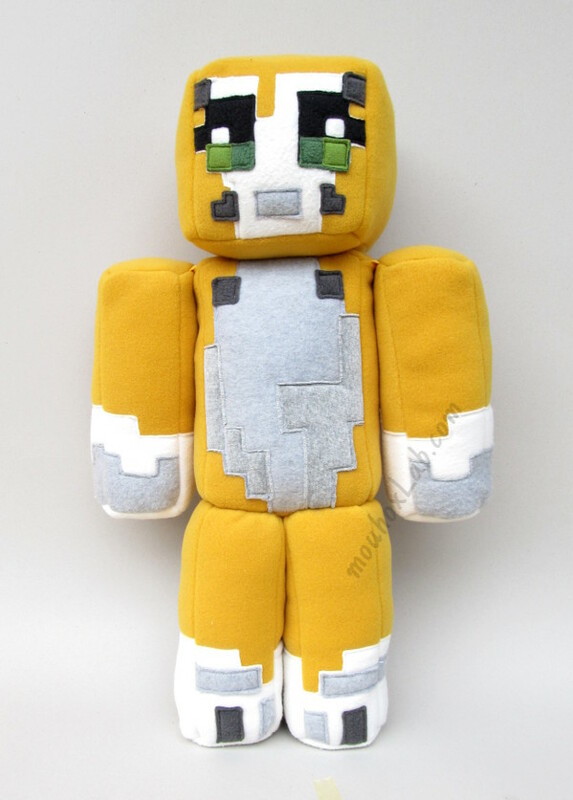 After Enderman softie, the second Minecraft character that I turned into a plushie is Stampy cat! This was a custom made Christmas order that traveled to Canada for a very special little girl! 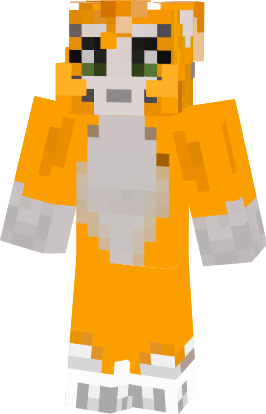 And this is ” MY STAMPY CAT ” softie —– > !!!!! If you have a very special one, don’t hesitate to contact mouhoxLab for help!!!! 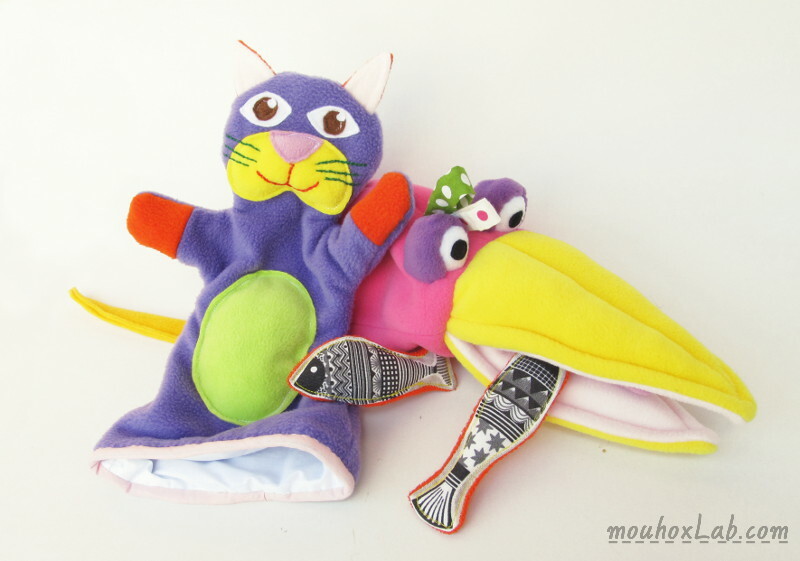 Each softie is made with extra care by using fine materials. 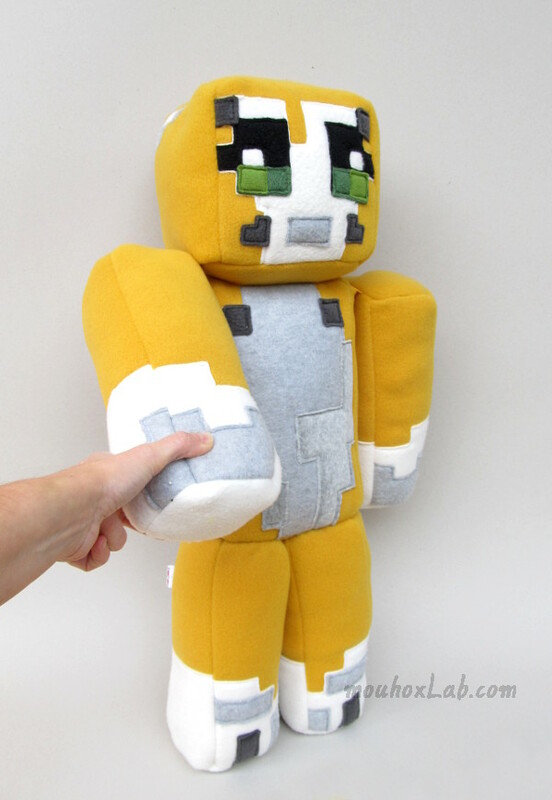 And don’t forget, the quality of Handmade plushies cannot be compared with mass production ones! I'm an artist who LOOOOVES making things with my hands.